The last few weeks have had a deep focus on the Kansas City Royals goal of winning the American League Central, as the team has faced off with almost exclusively all central division opponents. In fact, the Royals have been real chummy as of late with both the Tigers and Indians, as they faced them both last week, and face both this week as well. 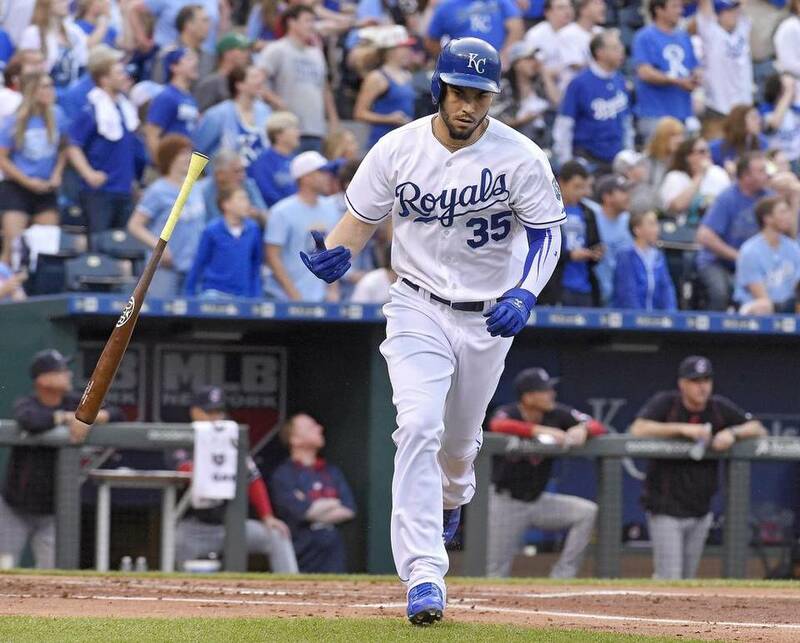 Interestingly enough, the Royals took both series against the Indians, just finishing off Cleveland winning 2 out of their 3 game series, much like Kansas City did last week in Cleveland. Some things were different though, and what better way to start than with the straw that stirred the drink in these last 3 games. So could Eric finally be reaching the potential that we have all discussed for years now? I’m not ready to completely say yes to this, as I want to see how he handles his first slump of the season, as he seems to mentally struggle when that happens. But if he can keep his swing consistent, then we might just be seeing the Hosmer I was starting to believe we were never going to see. The biggest worry for this Royals team early in the season has been the back end of the rotation. Hell, it should probably just be the rotation in general. The two biggest worries have been Jason Vargas and Jeremy Guthrie. Luckily, Mr. Vargas finally came through with a solid outing on Tuesday night, his second quality start of the year. Vargas was roughed up a bit in the first inning, giving up 2 runs, but after that he was a rock. His final line had him throwing 6 innings, giving up 2 hits and 2 runs, while walking 2 and striking out 5. Ten of Vargas’ 18 outs were from fly balls and he kept his pitch count around 80. Vargas won’t blow hitters away but if he can locate his pitches(which has been his big issue so far) and not allow many base runners, he can be a consistent force in the back of the rotation. Unfortunately, Vargas has gone on the disabled list with a strained flexor muscle and looks to be missing 2 to 3 starts. Normally that is a precursor for Tommy John surgery, but it appears that there is no damage to the ligament and a little rest and then some light tossing should do the trick. 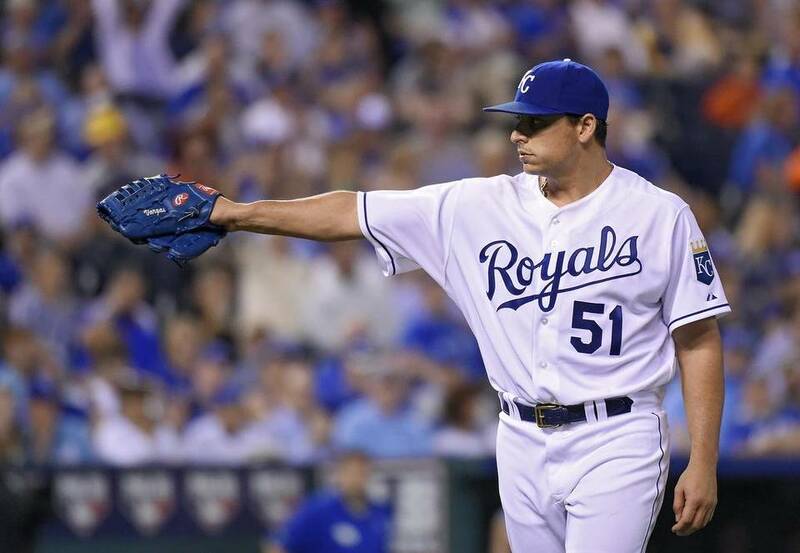 For now, Vargas’ spot in the rotation will be taken by Chris Young, who will start on Sunday against Detroit. Coming off of his best start of the year, Danny Duffy struggled mightily on Wednesday night. In fact it was easily his worst start of the year, as he only got 3 outs, giving up 6 hits and 4 runs while hitting 2 batters and striking out no one. Duffy didn’t really have control of any of his pitches, as his location was way off and his slider was the cause of the 2 hit batsman. All the way around it was an ugly start from a pitcher who the Royals really need to step up and be a stabilizing force at the top of the rotation. Hopefully Duffy can bounce back when he starts on Monday in Texas. Yep, that baby exploded in the 3rd and caused Volquez to fall of the rails. Apparently this happens about twice a year for him and it’s always in the same spot, on the knuckle’s inside, right below the fingernail. Neither Volquez or manager Ned Yost are worried he will miss his next start, even if that means pitching through a hardened blister. That is good news, as Volquez has probably been the most consistent pitcher the Royals have had this year. Backup catcher Erik Kratz went on the disabled list this week with a left foot ailment(I know, I would have figured it was splinters in his rear end, from sitting on the bench so much) and the Royals went and acquired backup catcher Drew Butera (he of the famous catching Butera family)from the Angels. I like the move, if for no reason other than the fact that Butera is a good defensive catcher who works well with pitchers. 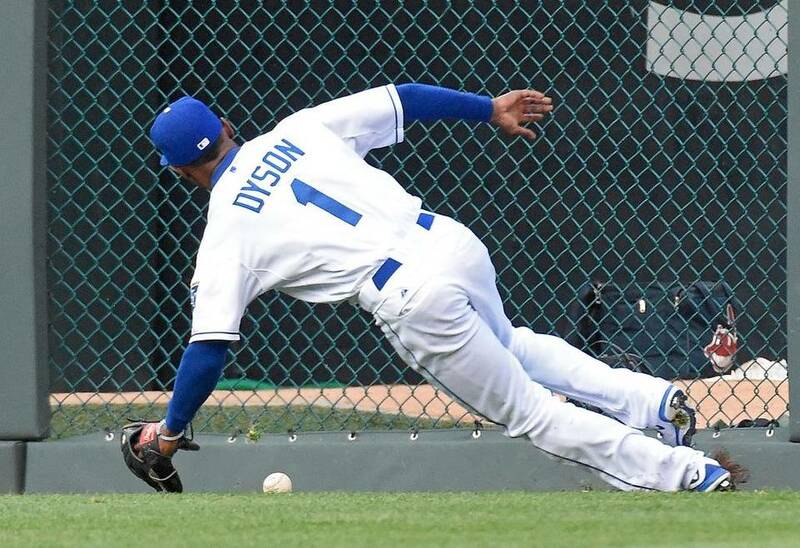 He’s not going to hit a lick, but he can provide Salvador Perez day off…I know, crazy talk, right? Alex Gordon continues to swing a good stick, as he went 3 for 11 in this series, mainly from the leadoff spot. He has been filling in there for Alcides Escobar, as he recovers from getting hit in the head in Cleveland last week. Gordon was also hit by a pitch on Thursday, the 7th time this year he has been hit. Closer Greg Holland returned from the disabled list this week, sending Yohan Pino down to Omaha. The Royals bullpen also saw the return of Luke Hochevar in Thursday’s game, throwing an inning of work, giving up no hits and striking out 2. If the key part of this pen stays healthy, it could be scary good. Holland, Davis, Herrera, Madson and Hochevar by themselves is a frightening thought for opposing teams. As much weight as we’ve put into the rotation needing to go deeper into games, the same argument could be made that as long as the starters go 5 innings, the bullpen can pick up the rest of the heavy lifting. Scary thought, folks. 2014 Royals bullpen: 3.30 ERA / .651 OPS allowed. 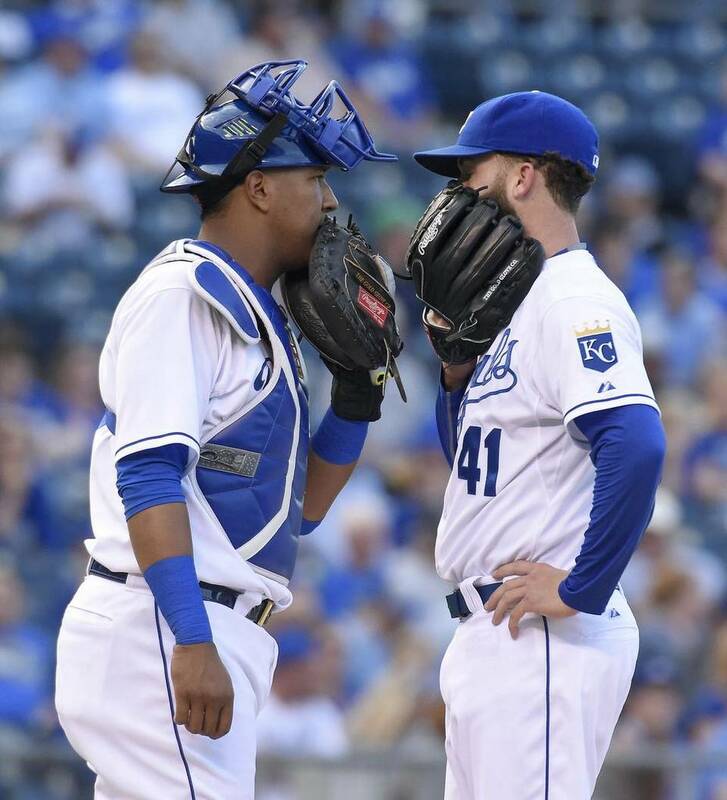 2015 Royals bullpen: 1.00 ERA / .431 OPS allowed. Kyle Zimmer felt soreness in his right shoulder in his last outing. He will not leave Surprise on May 10. Team hopes its a minor delay. Moustakas-Morales-Hosmer-Perez are batting 2-3-4-5 and all hitting between .311 and .320. Hochevar on outing: "Really tonight was the first time I felt like I was in my right slot. I felt like I was getting through the baseball." Bubba Starling now hitting .314/.398/.534 with 4 HR 12 BB 27 K. Time to get excited yet? Danny Duffy said he feels totally fine health-wise: "I just didn't do my job today. I left the bullpen hanging." Danny Duffy: "I'm not in any way, shape or form happy with anything I did out there. Other than getting 0-2 to Kipnis in the first." So another series win for the Royals and that will lead into a big weekend in Detroit, as Kansas City takes on the Tigers for 3 games. Methinks this will be a fun series that will have the feel of a pennant race, as it should. Yordano Ventura should return on Friday night, off suspension, and Sunday night the game will be on ESPN, which most of us longtime Royals fans know doesn’t happen very often(are the Red Sox/Yankees not playing this weekend?). A series win in Detroit would be huge, especially since the Royals will continue their road trip to Texas for 4 games next week. 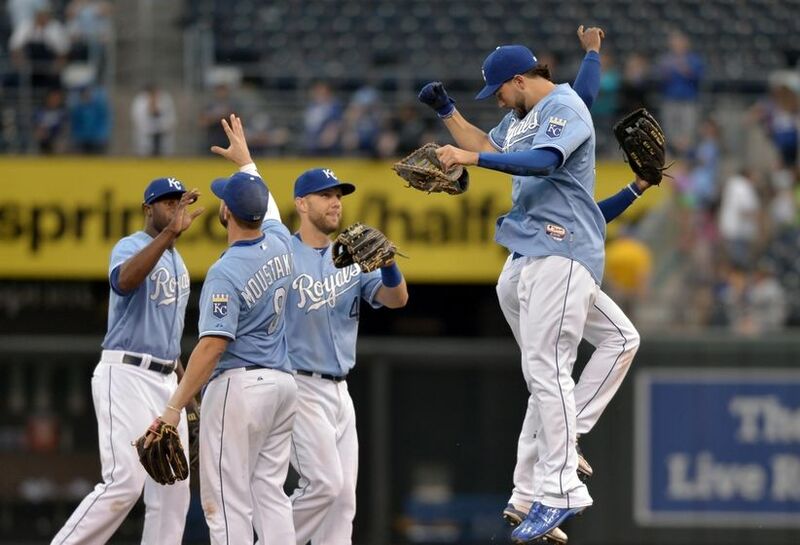 You have to love this feeling, that of a Royals team that is contending and is near the top of the division. In all honesty, that is all I’ve ever really wanted. The Royals and Tigers games should be considered a big deal, as it has become a big rivalry the last 2 years. Now lets take 2 of 3 and leave Detroit in first place!